"One Perfect Afternoon," by Jane Dawkins. Jane Dawkins was born in Palestine and grew up in Wilton, a small English country town in Wiltshire, neighboring county to Jane Austen’s Hampshire. She now resides in Key West, Florida, with her husband and her Golden Retriever. Before moving to Key West Jane lived and worked in Germany, London, New York City, and New York’s Hudson Valley. From her early days as an executive secretary in businesses as varied as records, opera management and international oil, not to mention happy days at the top of the World Trade Center in NYC at Windows on the World, she struck out on her own as a gourmet food producer, then as a graphic/book designer, editor, author, painter, and lately, ceramicist. 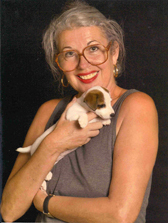 Her interests are wide ranging, including Jane Austen and the English Regency period, theatre, music (all kinds, from heavy metal to opera and classical), human and animal rights, ceramics, writing and the endlessly stimulating environment of people and events that she encounters daily in Key West. Editing. Rearranging and honing a sentence gives me great pleasure. 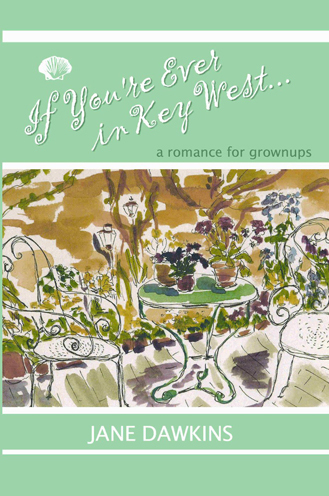 If You're Ever in Key West... Is a love song to a very special island at the southernmost tip of the United States...and an ode to women of a certain age. It will be best enjoyed on a beach under a palm tree... ...with a cold drink in one hand.